Does the Catford feedback reflect your views? 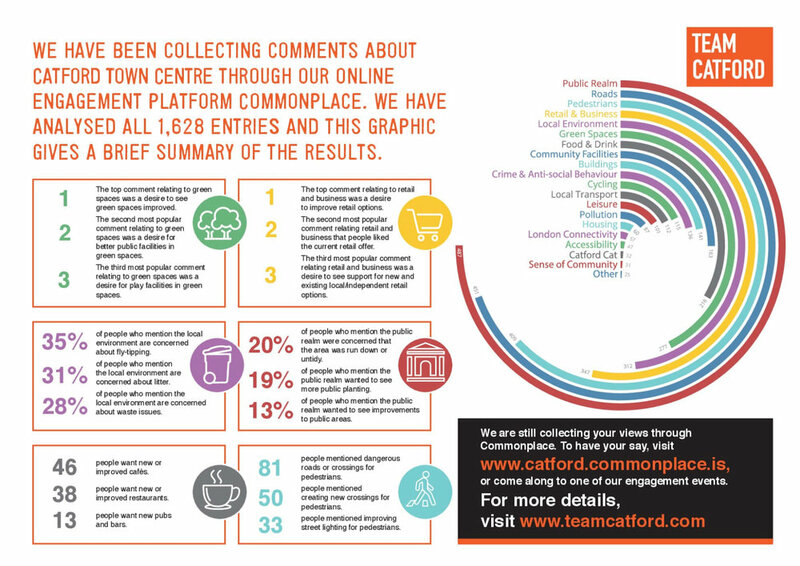 With almost 1,800 comments and counting, local people have been joining the conversation and having their say about what they like and don’t like about Catford town centre. Top concerns include the variety of retail options in the shopping centre and a desire to see more green spaces in the area. All of these comments are helping to shape a masterplan for the future of Catford. Take a look at our snapshot of feedback above and tell us what you think. If you have more to add, feel free to pop back onto the map and share your thoughts about your area. There's no limit to how many comments individuals can add so do keep sharing ideas. All of the comments have been shared with the architects appointed to develop the masterplan on behalf of the Council.